Growing up, Friends was her favourite show on TV. Though her parents did not approve of her watching English channels because of the â€˜bad influenceâ€™ that they were, Asha did her fair share of sneaking around and ensured that she watched all the episodes at least twice. She envied the kind of friendship that Ross, Chandler, Monica, Phoebe, Rachel and Joey shared and joined in their friendly banter with her own fits of hysterical laughter. But here she was, going to meet a guy whom she did not even know, and try to have a decent conversation with the guy who would be constantly judging her on every action â€“ from what she ordered to eat, to what clothes she wore, who her friends were to how she ate and what kind of a life she was leading. Girls in India are caught in the drift when they reach a particular age. They suddenly face a dilemma as to what to focus on in their life, whether to make a career and ensure a living or to get married and secure their life. Girls who remain single after the so called marriageable age are frowned upon by the society and are considered a burden for their families. Throughout the month of April, thanks to the AtoZ Challenge, I am trying to portray the life of Asha, a common Indian girl with dreams and aspirations. 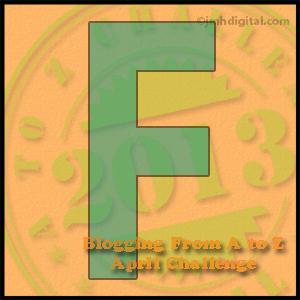 Everyday we focus on one alphabet starting from A on April 1st till Z on April 30th. Stick with me till the end of the journey and do tell me what you think of my writing and my Asha. I -Â I Love You??!! I assume that my soul mate will have to be someone I’ve known as a friend first. But it’s always possible that the chance (or arranged) encounter could work out, too. It could work out. Maybe. Though personally I would be leery of marrying someone I hardly know. That would be hard, I think. Maybe not so much marrying someone you hardly know but someone who is constantly looking over your shoulder would be terrible. True… Someone like that can be difficult to live with. True, the time is running out on her. Can so relate to Asha! I so wished I could have told Asha that F.R.I.E.N.D.S is a fairy tale and it’s so hard to meet people in the States, where everyone has their guard up and hides in their cars and homes, at least in my dangerous city. I have to catch up on the Asha series, but the rest of the world is a far better place from personal experience! Glad to meet you tonight/today (middle of the night here!). Its evening here, and I am really really glad to meet you too. Its really amazing how many wonderful people we meet and become friends with, by way of blogging. What a fun idea – to write a story for this. Wish I had thought of it but I didn’t. Perhaps next year.